Why BCAAs are a waste of money! There are many myths surrounding protein intake. The most common being that it is impossible for your body to “absorb” more than 30 grams of protein in one sitting. Firstly, from a biological perspective, this sounds very maladaptive. Human beings likely wouldn’t have survived if our our digestive tracts were so inefficient and wasteful of essential nutrients. Let’s travel back into the stone age and have a look at our ancestors. They killed a mammoth, chopped it up into nice little pieces, portioned it out, put them into tuppers and in their freezer being very careful not to eat more than 30 grams of protein per meal? I did not think so either. They just ate what was there. Secondly, this myth comes from a misinterpretation of old research. 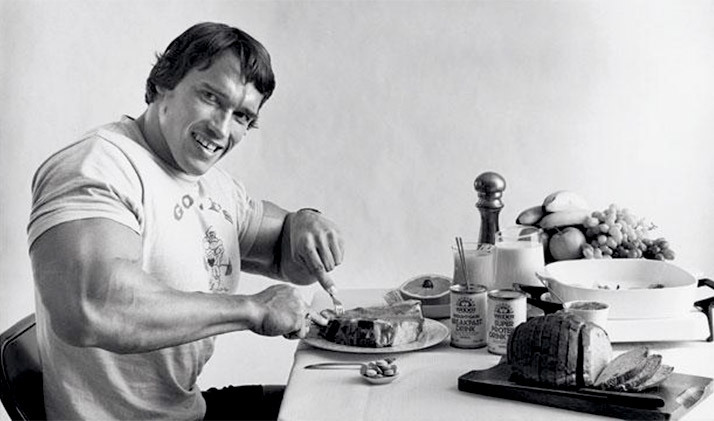 Old-time meatheads knew that you had to eat a ton of meat to grow muscle (hence the nickname “meathead”). How much did you need, though? Scientists figured out that consuming 30 grams of protein in a meal was sufficient to maximize the muscle protein synthesis response from a meal. Modern research confirms this (study). Muscle protein synthesis is exactly what is sounds like: the body’s process of synthesizing (creating) new muscle tissue. Awesome! ?? As far as muscle protein synthesis is concerned, the amount of “protein” you eat is actually irrelevant. What matters is how much leucine you eat, which is one of the 9 essential amino acids. (In dietary science, “essential” means that your body cannot make it, and you must consume it to survive.) Leucine is what stimulates muscle protein synthesis. The “30 Gram Rule” is derived from the fact that typical animal protein sources that athletes are advised to consume (dry chicken breast, anyone?) contain 10% leucine per gram of protein. Considering that a chicken breast has about 30 grams of protein per 5-ounces, a little muscle math brings us to the fact that 30 grams * 10% = 3 grams of Leucine per 5-ounce chicken breast. 3 grams of leucine totals what is known in the research as the “leucine threshold”, or the amount of leucine needed to maximally stimulate muscle protein synthesis. All of this led some to the conclusion that eating more than 30 grams of protein in one sitting is a waste, because 30 grams is all that is needed to maximize the muscle protein synthesis response. This is not entirely incorrect, as the research does show that eating 30 grams of protein at breakfast, lunch, and dinner per day stimulates more muscle growth then eating 10 grams, 15 grams, and 65 grams, respectively (study). However, this does not mean that consuming more than 30 grams at a time is a waste. Muscle protein synthesis is not the only relevant variable in muscle growth. Muscle protein breakdown must also be minimized. It is very annoying that our body is constantly fighting our efforts to get huge by breaking down proteins. Well, protein is very important for all of the processes that your body needs to perform, and as a result, your body recycles proteins for different functions, like building hormones and maintaining bodily structures (like your hair and nails). This is where the scientific term protein (or nitrogen) balance comes from. Our body is in constant state of flux; it is this very quality of adaptability that enables our bodies to build muscle in the first place. In order to maximize our muscle growth, we need to maximize our protein balance. This means we need to eat a lot of protein. In fact, this study found that a meal containing 70 grams of protein stimulated a higher protein balance than a 40-gram meal. So go ahead and eat your 16-ounce porterhouse. The protein won’t be “wasted”. The only waste is money that people spend on highly-processed protein supplements like BCAAS when the body of research shows that they have provide no benefit on top of a sufficient dietary intake of protein. A well fed athlete has 20 grams of BCAAs available at all times, if you need intra workout nutrition the good old whey/ gatorade or gummi bear combo will serve you best and in a very cost efficient manner. In general, athletes would be much better off to minimize their intake of supplements and instead focus on the quality of their diet. A sizable serving of protein 3-4 times per day will be very sufficient. Previous post: Can Weight Training Fix Injuries? Next post: IS THE WORLD COMING TO AN END?